Forest fires across the western United States have caused smoke to drift over Rocky Mountain National Park on this August morning. The particulates from the smoke fill the sky causing a beautiful orange glow in the skies over Rocky Mountain National Park as the sun rises over the eastern plains of Colorado. 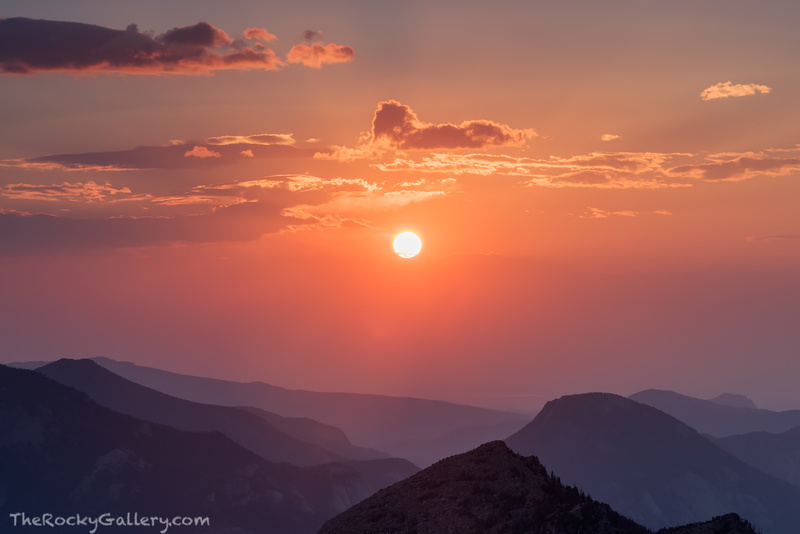 From this vantage point near Trail Ridge Road, the silhouette of McGregor Mountain and Lumpy Ridge can be seen through the reds and oranges of sunrise.